London street markets have become a magnet for property buyers, and the same is true of those looking to buy in Brixton. 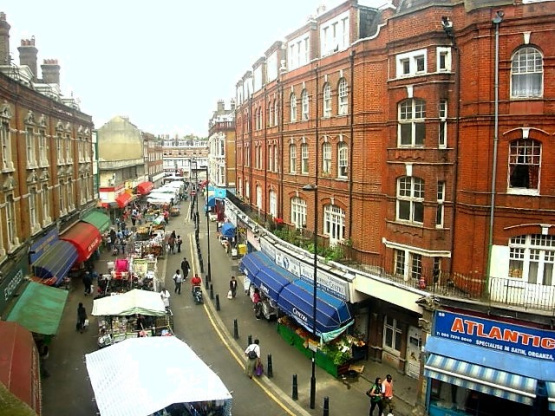 Brixton has changed rapidly in recent years, but a street market has long formed part of its appeal. The market on Electric Avenue was the first market street to be lit by eclectic light, while there are three covered market arcades, all of which have helped Brixton retain its culturally diverse charm. In London, street markets are enjoying a renaissance, fueled by a love of all things 'local'. When scouting in the city for somewhere to buy or rent, people are drawn to parts of the capital where there is a thriving food or street market at its heart. According to London Farmers' Market, the organisation which manages London's markets, demand for markets from local residents is increasing, while more markets are now being held in areas across the capital. Markets have also been credited with boosting property values, while property developers are even involved in the development of market squares to sit alongside new apartment blocks. The power of a street market to revitalise a locality is not just true of Brixton. Borough, Spitalfields, Covent Garden, Broadway and Portobello markets have all contributed greatly to their respective areas, and are a tourist attraction in their own right.